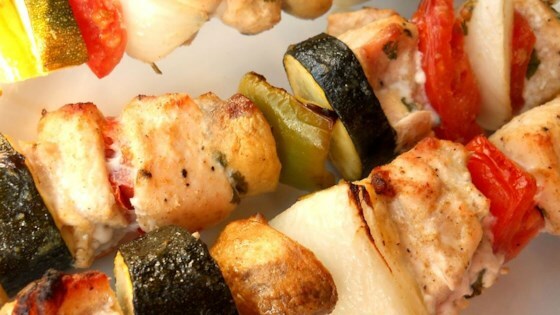 "Chicken and veggie skewers marinated in cilantro, lime, and cumin. Serve with rice, salsa, and warm tortillas." The cilantro made the chicken taste awesome and it was so quick and easy to prepare.